Here is quite simply the most handsome edition of one of the finest and most popular novels of all time. It features an elegant cloth binding, attractive full-color dust wrapper, handsome typography, and more than 100 delightful illustrations (plus 61 witty illustrated initial letters at chapter openings) by famed English Victorian artist Hugh Thomson. This is the edition that the legions of Austenites will treasure for years to come. 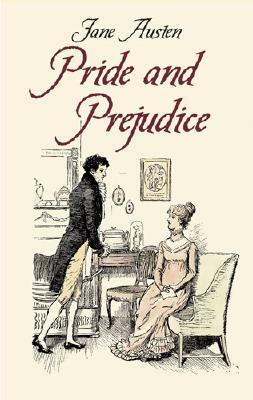 Rich with memorable characters from 19th-century English society and compelling themes of love and personal rivalries, the novels of Jane Austen (17751817) continue to enchant modern readers. One of literature's most celebrated women authors, Austen crafted stories remarkable in their psychological depth."